Today, families are gathering together around great bonfires in Northern India and around the world to celebrate Lohri, the harvest festival of Punjab. As a girl, I would blink at the growing flames, listen to the pounding of the dhol (drum), and hold my breath as family members stepped forward to announce good news of the last year: A wedding! The birth of a daughter! A son’s first day at school! A new job! We would then jump up and dance around the fire, singing folk songs, throwing popcorn into the flames, and celebrating the news all together. It’s one of my favorite festivals! Tonight, my family and I will gather around the fire again, this time in our little backyard in California with our 6 week-old baby boy Kavi Singh. We know that 2014 was a difficult year for our country and world. It was also a challenging year for us personally. But we can draw inspiration from how we faced those adversities and find possibility and joy in new beginnings. 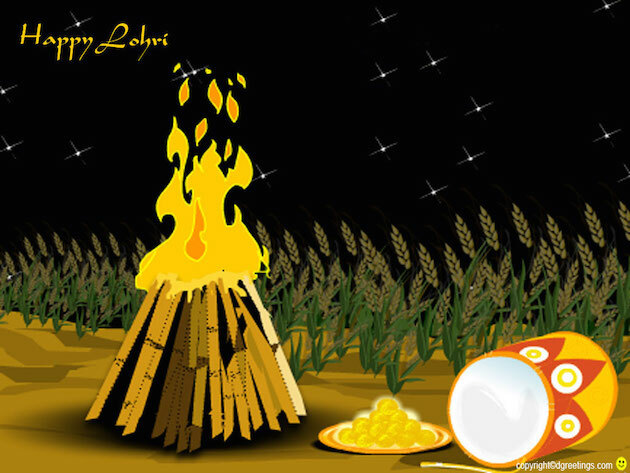 And so I invite you to join me in a virtual Lohri. Here are my top 10 moments of 2014! It’s a list of sparkling stories that make me grateful, in no particular order (though the last one is pretty special to me). It’s best to read these with some Indian sweets — gachak, reorree, popcorn popped on hot sand. Or just a piece of chocolate will do. I invite you to share your own good news to celebrate on this Lohri Day. 1. 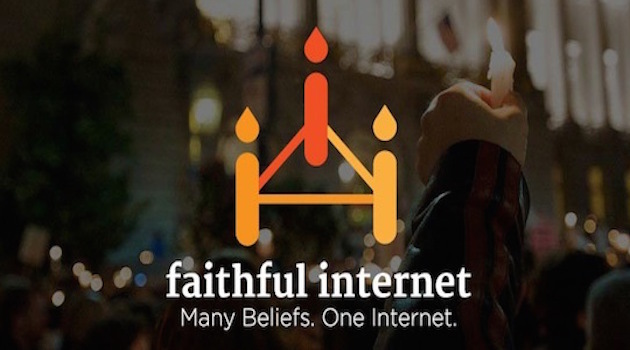 A FAITHFUL INTERNET. Millions of Americans of all faiths and beliefs stand up to keep the Internet free and open, including President Obama. Our new campaign helps protect the Internet as a space where all of us – no matter the color of our skin, size of our wallets, or content of our beliefs – can connect, create, and organize online. I’m excited to join the Stanford Center for Internet and Society at Stanford Law School to help champion this cause in 2015. Watch our webinar about what’s at stake for our communities. 2. BREAKING DOWN BARRIERS. In April, the first-ever Sikh event at the Pentagon calls for equality, service, and wisdom, especially in the corridors of power. I was honored to deliver an address on the Sikh faith and stand alongside Major Kamal Kalsi, who is leading the campaign with the Sikh Coalition to allow turbaned Sikhs to serve in the US military. Watch the speech or read it here. 3. NO MORE. High-profile stories of abuse lead to national dialogue on domestic violence, including campaigns like No More and It’s On Us. The Ray Rice story even inspires a powerful episode of Law & Order: Special Victims Unit, directed by my husband Sharat Raju. I’m so proud that Sharat’s TV directing debut has helped generate necessary dialogue in living rooms across the country. Watch the SVU episode. 4. #BLACKLIVESMATTER. Young people of many colors and faiths drive an extraordinary movement taking on race, policing and profiling in America in the aftermath of the tragic events in Ferguson, MO. I saw the power of this solidarity when traveling, speaking, and listening to students in St Louis and the Midwest through the fall of 2014– and know it will continue to build in the new year. My take on MSNBC. 5. ENDING SOLITARY. Our film The Worst of the Worst travels the U.S. to help communities challenge condition of solitary confinement in supermax prisons. The documentary was produced with an amazing student team at the Yale Visual Law Project, a program Sharat Raju and I founded at Yale Law School. We are proud to announce the online release of the film. Watch the film here. 6. BRAVERY IN BURMA. President Obama makes a historic visit to Burma (Myanmar) in November and stands with the brave women and men fighting anti-Muslim violence, including young people we met on our recent speaking tour with the US Embassy in Burma. 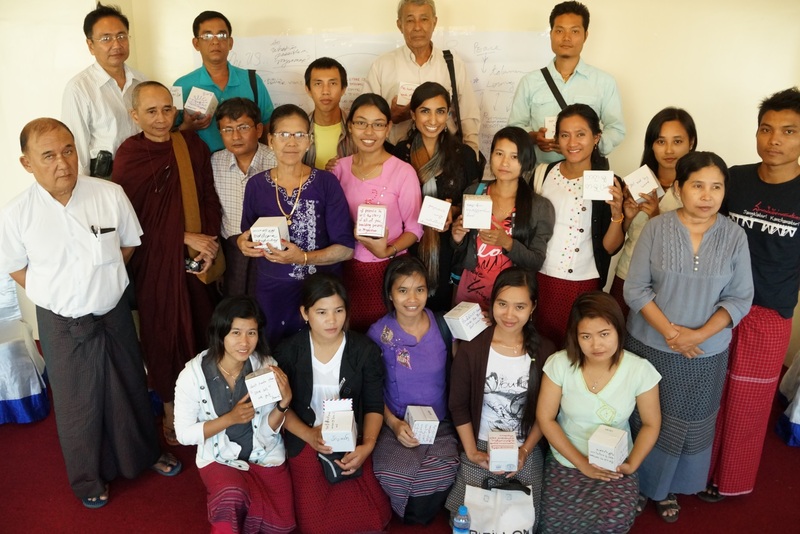 Everywhere we went – Mandalay, Yangon, Pyin Oo Lwin, and Mawlamyine – we had witnessed a new generation shaking off decades of oppression to step up as leaders. Sharat Raju and I look forward to returning to Burma to help support their courageous work. Learn more about the struggle of Muslims in Burma. 7. BRIDGES THROUGH DANCE. Pandit Chitresh Das Ji, legendary master and teacher of Kathak, the North Indian classical dance, joins forces with talented tap dancer Jason Sameuls Smith to bridge cultural divides. I first learned dance from Chitresh Ji years ago and had the pleasure of watching them both perform in Los Angeles, their remarkable friendship and collaboration featured in the film Upaj. Chitresh Ji died suddenly in January 2015 but his life and legacy has touched thousands, including mine. Watch the film trailer here. 8. LIGHTING UP THE MOVEMENT. Four years ago, Groundswell started with a circle of friends in New Haven, then found a home at Auburn Seminary — and has now expanded to 100,000+ members. Here is the story. 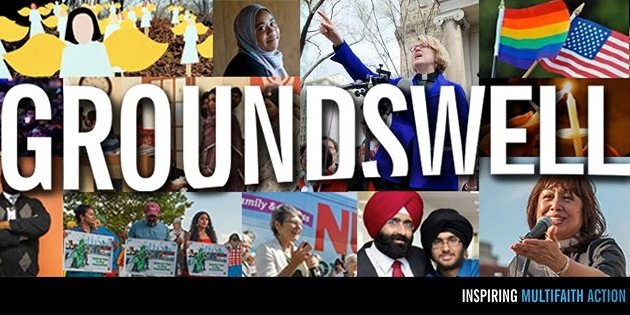 Groundswell is now equipping thousands of faith leaders, activists, and organizers across the country, thanks to the leadership of Isaac Luria, Michelle Reyf, and the rest of the team. Check out the latest campaigns on immigration, hate crimes, climate change, marriage equality, gun safety and more. 9. TELLING OUR STORY. 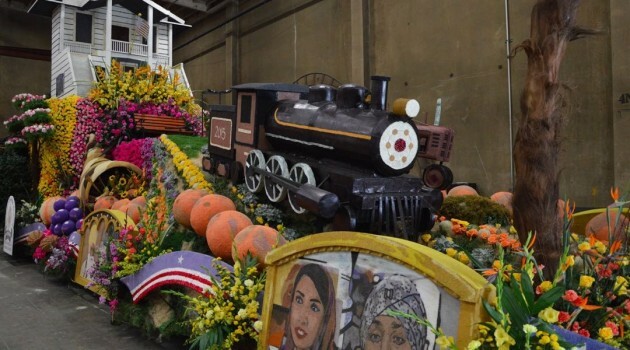 For the first time in history, the famous Rose Parade features a Sikh float telling the story of 125 years of history in America. The float shared the spirit of our community with 50 million viewers. Thank you Sikhlens Arts, SALDEF, United Sikh Mission – USM, Khalsa Care Foundation and all who made this possible. I was honored to be included on the float, helping represent the many Sikh women and Millennials writing the next chapter of our story. Check out more of today’s Sikh voices in the Huffington Post’s “Sikh Americans We Admire.” More about the float here. 10. NEW BEGINNINGS. Our son Kavi Singh Raju arrives on December 3rd, filling us with profound joy and gratitude. Here he is at one week old. We are so fortunate to welcome him into a vibrant and loving community. May every baby be so blessed. 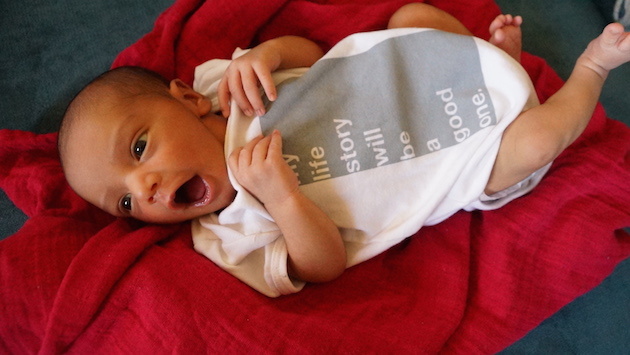 His arrival inspires us to do more to help make this world a more just and beautiful place. More here. SHOUT OUT: None of these moments would have been possible without our community. Thank you to my fellows team at Stanford Law School Emily Baxter, Aseem Mehta, Aeryn Palmer, Imran Siddiqi, Nabiha Syed, and Lauren Turek. And to my parents, brother, family, and friends, and of course my husband and partner Sharat Raju, who makes the journey joyful. Now, it’s your turn! Share what you are celebrating!